There is a rather useful (but perhaps somewhat hidden) plug-in for Protege that can be used to compare two versions of an OWL file: PROMPT. The plug-in is installed by default in Protege, but needs to be enabled via Project > Configure > Tab Widgets > PromptTab. 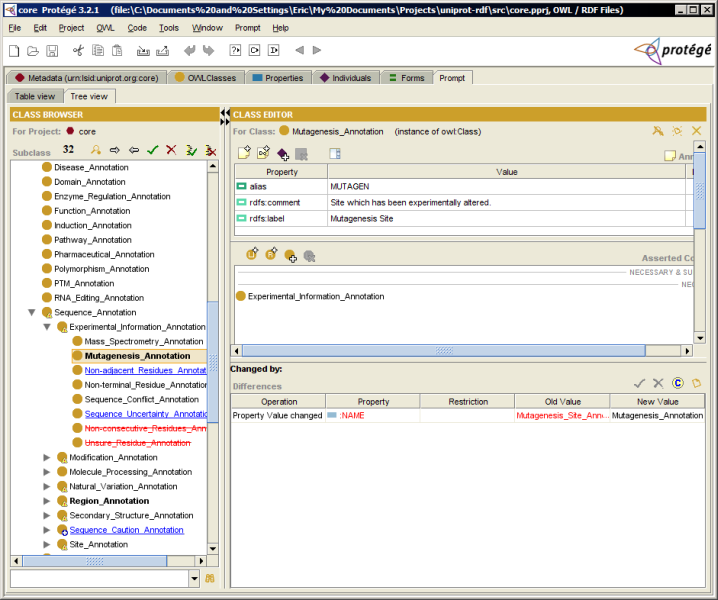 Here’s a screenshot showing differences in the UniProt “core” ontology from release 10.5 to 11.0.